Howard Berry and Holly Pleydell with the Living Memory pop up exhibition. 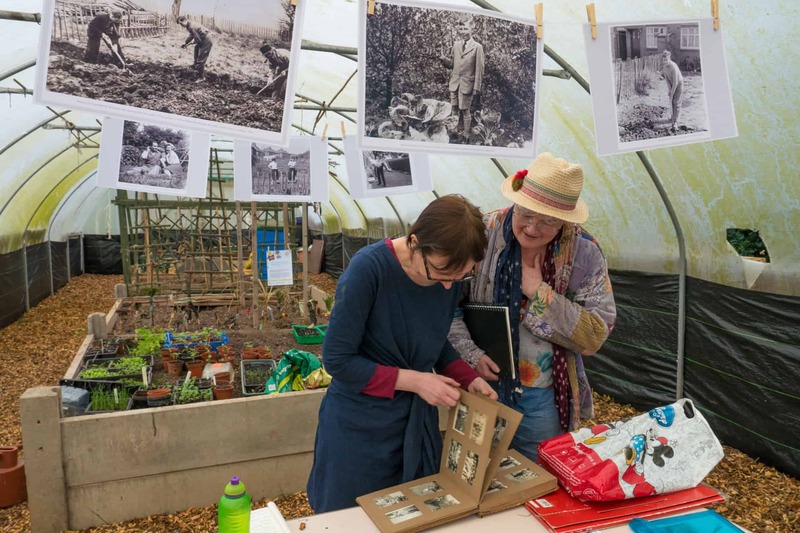 On Sunday we teamed up with Boundary Way Allotments and Community Garden to participate in a day of sharing and creative activities around the theme of ‘Growing Memories’. 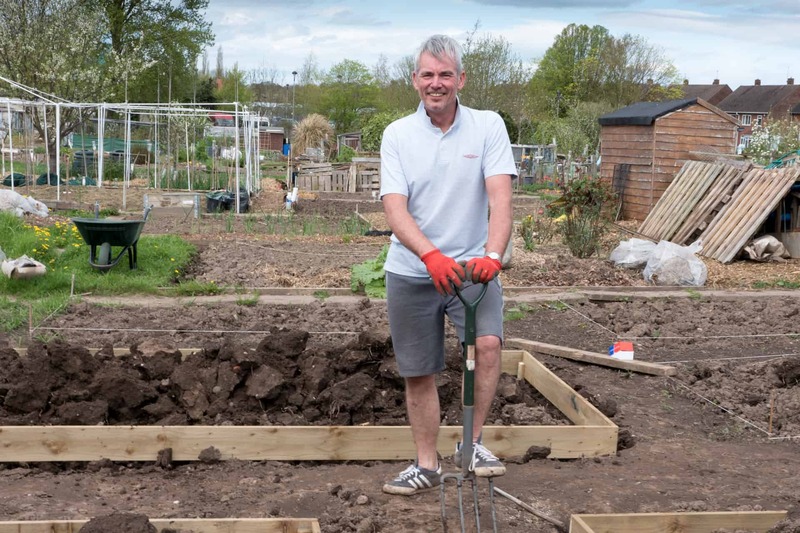 The Boundary Way garden and allotments sit on edge of the Warstones estate in south-west Wolverhampton and has beautiful views across the rolling Staffordshire countryside and towards the hills of Shropshire. 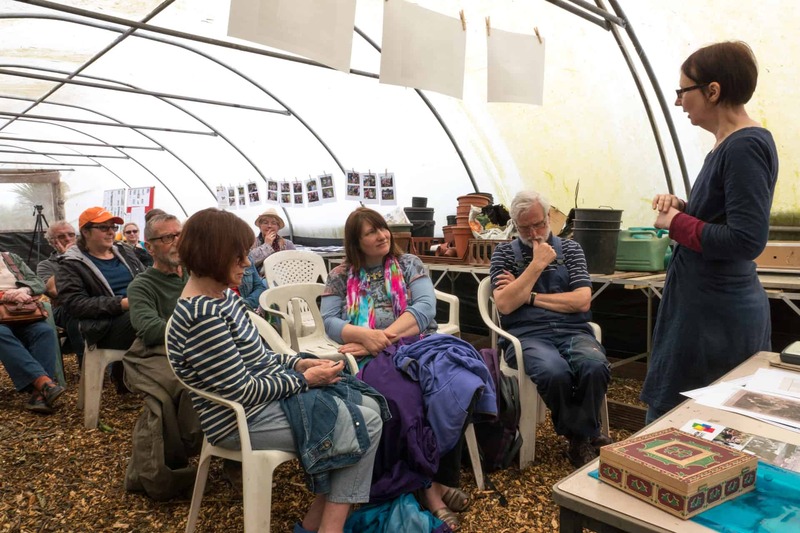 It’s a unique site where community members, plot-holders, artists and many others often come together to share in activities and spend time together. 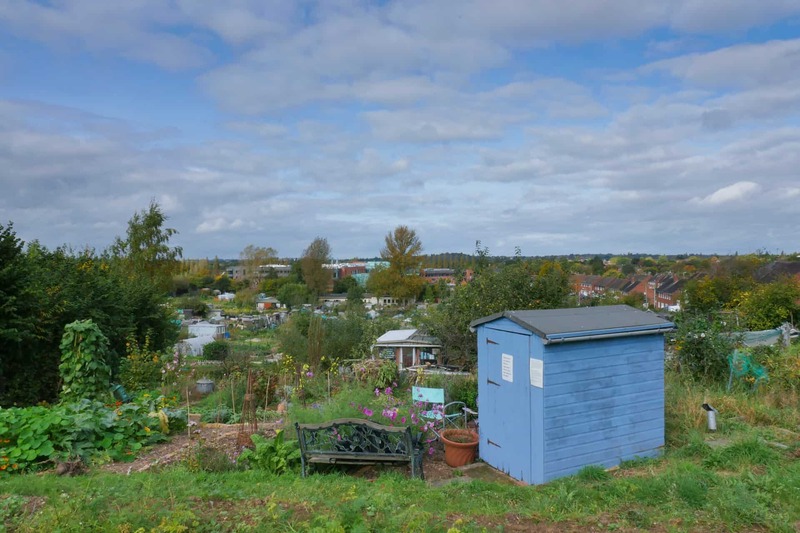 The Boundary Way Allotment and Community Garden, with the Camera Obscura in the foreground (blue shed). Geoff Broadway talking about the Living Memory project. 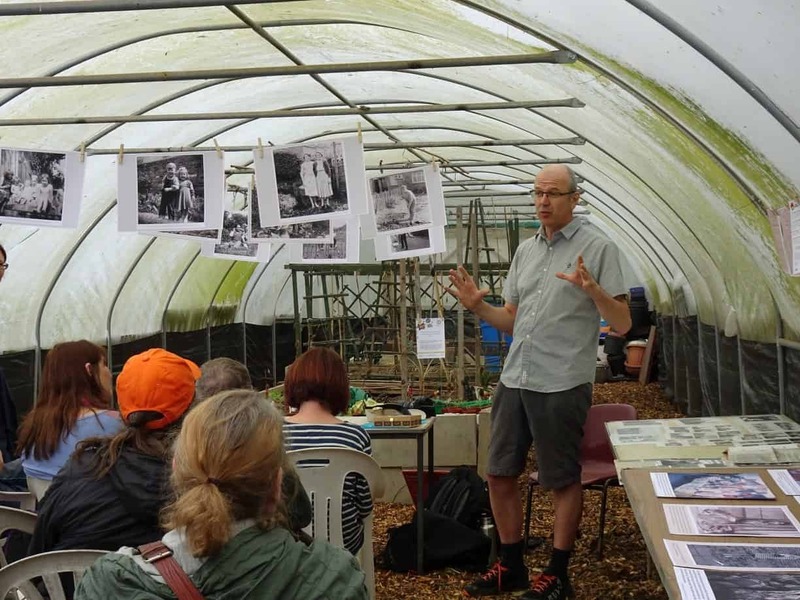 The day was part of their ‘Sharing Nature Open day’ to mark International Earth day and to share our investigations into the history and heritage of our site, supported with funding from HLF. 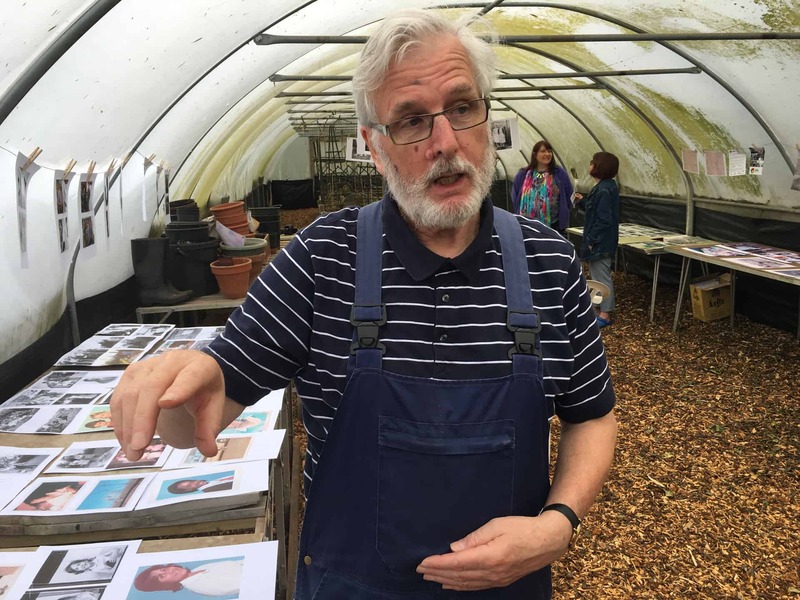 We took the opportunity to present our first Living Memory ‘pop up’ exhibition at the Growing Memories event, making use of the fabulous multi-purpose poly tunnel. We spoke about the project and shared some of the many 100’s of images we have gathered, telling some of the rich stories behind them. Moya Lloyd and Clare Wasserman look through a photography collection lent to the Living Memory project. Wherever we go we find people who are fascinated by the project, and there is always someone who wants to share their own photographs and stories. 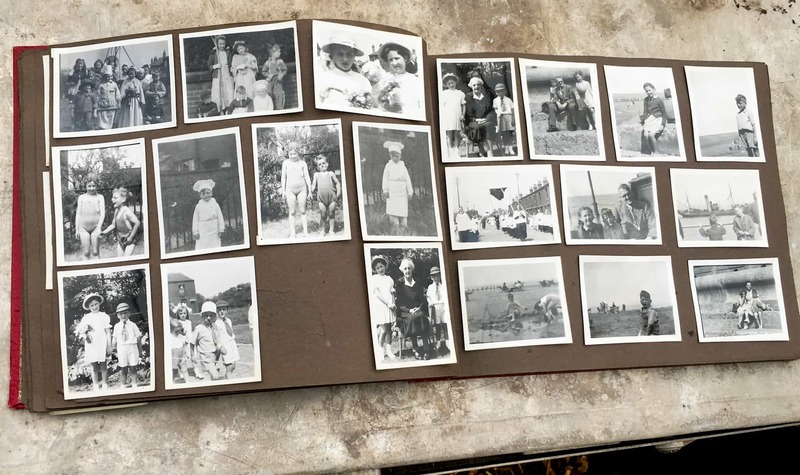 Several people had brought along their photographs to share and we spend time recording their stories and scanning their images. Plot holder Howard Berry talks about his own family collection. 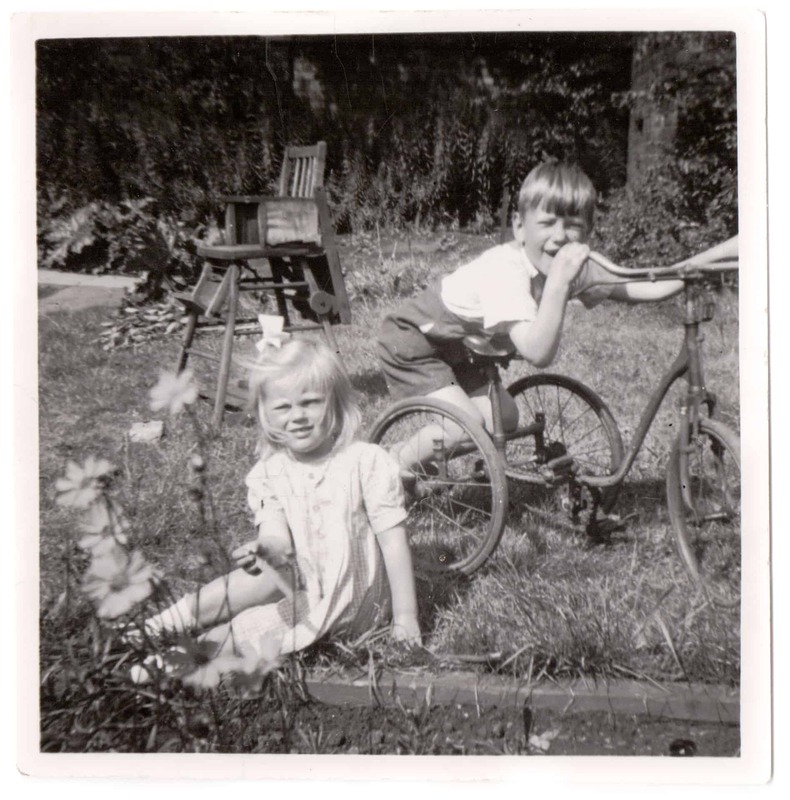 Maria Billington's mum Katherine and her uncle Stephen in the garden taken in the late 1940s. 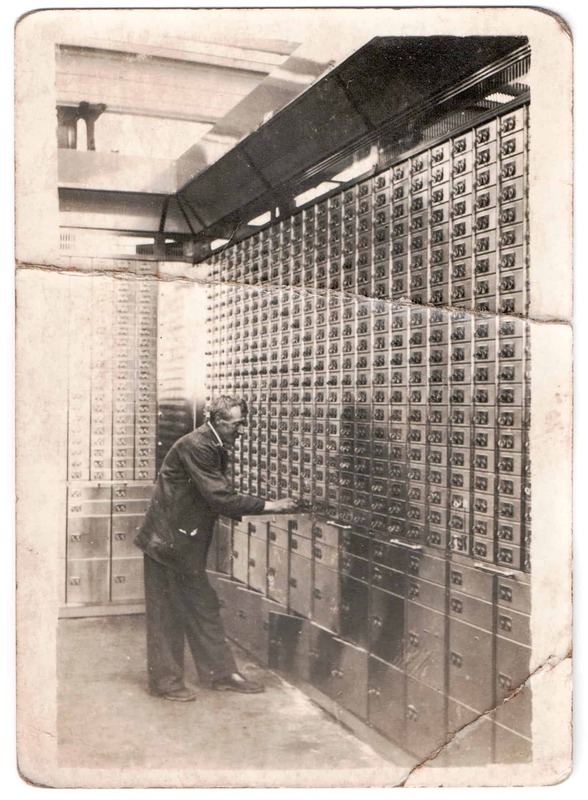 Clare Wassermann has some wonderful photos of her grandfather James Williams - you can read about him in our snapshot section. Maria Billington also shared a series of her own key images from her life and the journey she made from growing up in Manchester to living and thriving in Wolverhampton where she runs the Gatis Community Space. We will be publishing her story soon on the website. Howard Berry also brought in his own family collection and will be working with him very soon on his fascinating story. Many thanks to Boundary Way for inviting us to come along as part of the Growing Memories Day. Want to join us and help us talk about the project and gather people stories? We still have a range of volunteering opportunities open on the Living Memory project.